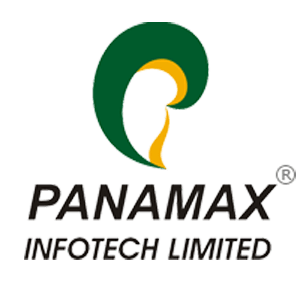 Panamax Inc, one of the leading technology companies of India is reaping in awards this year! Panamax’siMax solution is declared The Best Communications Solutions Product of the Year, 2015. This award honoured iMax, an integrated carrier switching platform for wholesale carriers, for its innovation, unique features and significant contribution towards improving communications technology. iMax is a groundbreaking prepaid switching platform that enables carriers on the Panamax system to buy and sell routes easily to one another. This solution offers real-time integration of Class-4 Soft switch capabilities with call routing, network management, policy management, billing, monitoring, intelligent firewall, SIP and H.323 handling functionalities. It is capable of handling multilateral peering of multiple calls among various Tier-1, Tier-2 and Tier-3 carriers. With innovative switching, fast routing and integrated business policy management features, iMax enables carriers to reduce both CapEx and OpEx through optimized switching capacity and minimized operations and support costs. Interestingly this year, in addition to the 2015 Internet Telephony TMC Labs Innovation Award, Panamax also received the Fintech Innovation Award, the Excellence in Branchless Banking Award at Mobile Money & Digital Payments Global, the 2015 Unified Communications Product of the Year Award for its Bridge2Call Solution and a Gold Award for Best Innovation by an ICT Company, given by Gujarat Electronics and Software Industries Association (GESIA) in recognition of their technological innovation. Apart from that, Panamax also won the 2015 Internet Telephony TMC Labs Innovation Award that recognizes the innovations in the IP Communications industry. Lava Iris X1 Selfie: Benefits of Front Flash For Any Lighting Conditions!